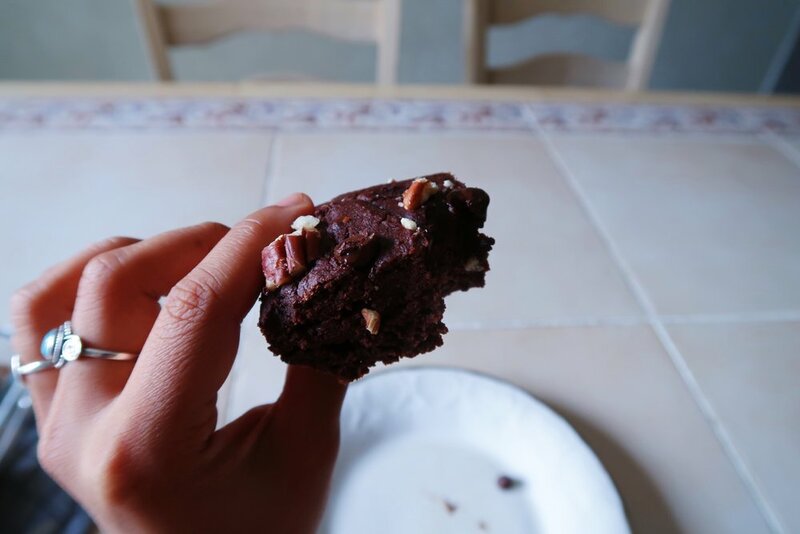 It's been a long time since the last time I've baked brownies. Oh was I missing out on a lot! They have this rich deep chocolate flavor, but without being overwhelming. Not to mention how satisfying they can be! And you know what? They're so easy to make. 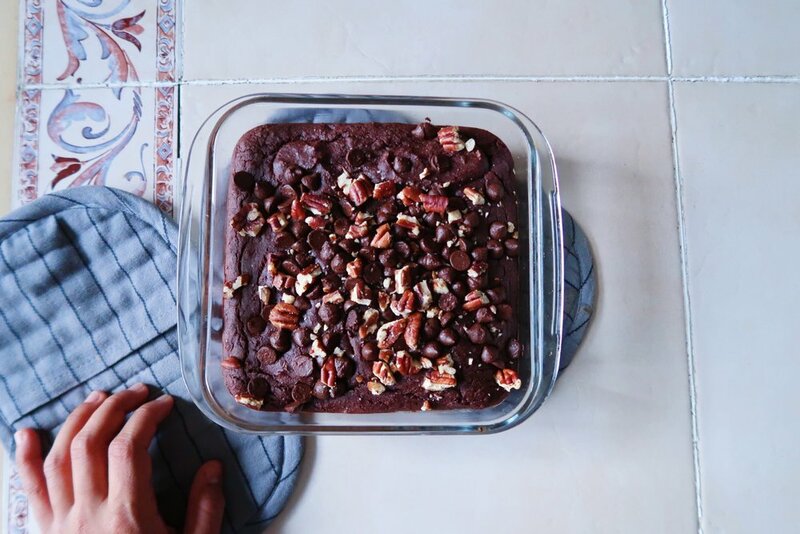 I remember in high school my host mom used to make this amazing date-walnut brownies for us every once in a while. I loved it so much that she made it for my birthday. Just when you think that brownies couldn't get any better, someone adds dates to them and they go to a whole new level! Oh, add some nice-cream and boom!! Oh man, my mouth is watering right now, it's kinda hard to handle. I have no idea what the recipe is but I'll give it a try soon and share it with you guys. I brought these to work because they are too good not to share! The minute I walked in a screamed brownies and they were gone. They loved them! Score. So make these and share them with everyone. Spread the love. The brownie love? Bake in the center of the middle rack for 45 mins or until the knife comes out clean when you poke the brownies.